GE Garages were rebuilt as 5 Bus Shelter's across the city for Chicago Ideas Week. 3D printed flowers sat on the outside while the tools used to create them were in the inside. An invitation to make your own ideas come to life just a few blocks away sits next to you in the shelter. 2014 Global Ace Award from the Business Marketing Association (BMA). And this is the poster version placed on 25 additional bus boards around the city. Featured in Things Organized Neatly. GE jumped on the Vine wagon early with a campaign for GE's new appliances. Here are links to two. 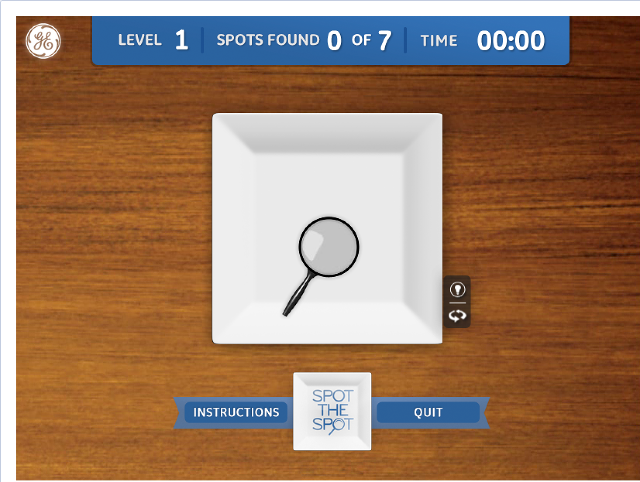 Also for GE Appliances, we created a facebook game for their new diswasher called Spot the Spot.